Betsy DeVos speaking at the 2017 Conservative Political Action Conference (CPAC) in National Harbor, Maryland. DAYTONA BEACH, Fl. – In the contemporary campus climate, that lovely stretch from the latter half of April to the first blush of May is also controversial commencement speaker season. 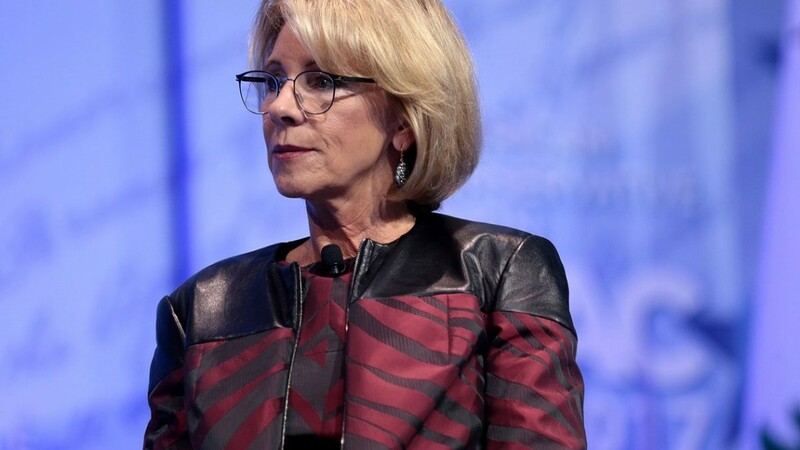 The most contested, in a year in which her raked-over confirmation proceedings garnered outsize news coverage, will probably be Betsy DeVos—who’s scheduled to address graduates next week at Bethune-Cookman University in Daytona Beach, Florida, a historically black college. 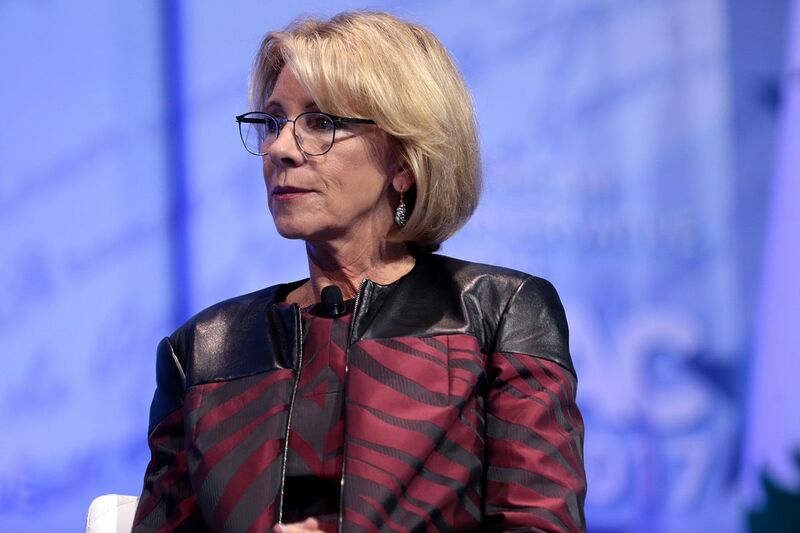 The official announcement on Monday that DeVos would address Bethune-Cookman’s graduating class—by then “one of the worst kept secrets in Daytona Beach”—met a stillmounting pushback. Critics contend the secretary of education’s support for school choice and student loan deregulation puts her at odds with the school’s beloved namesake: educator and civil rights leader Mary McLeod Bethune. Bethune famously founded a girls’ school—that would become a women’s college, and then a co-ed school—from humble beginnings with just five students, piddling funds, and a brave vision. Some hiccup was bound to overshadow the significance of 80 HBCU presidents meeting at the White House and on Capitol Hill, where these leaders, undeterred, made their case for a $25 billion infrastructure investment and the restoration of year-round Pell grants. And they welcomed a burst of public attention to HBCU advocacy, even amid distractions seemingly typical of the Trump transition: DeVos’s statement and a viral snapshot of Kellyanne Conway perched on a sofa in the Oval Office just after having photographed the HBCU presidents standing with Trump. There was more to that day than met the public eye. Johnny C. Taylor, Jr., president of the Thurgood Marshall College Fund, a national organization supporting and representing HBCUs, told me he received confirmation Thursday from the White House’s Domestic Policy Office that one of the college presidents’ two big “asks” would be granted—all because of the February meetings. The president’s comprehensive budget proposal for next year, expected this month, will include funding for yearround Pell grants. Restoring summer Pell, which Congress approved already for this year’s budget, is a big win for HBCUs and their students, who are disproportionately low-income. And, “It was specifically a result of our work,” Taylor said, describing consultations with White House domestic policy aide Ja’Ron Smith, after the February meetings, about the crucial importance of Pell grants. Whether the White House’s efforts will make a substantial difference in these schools’ institutional health and longevity remains to be seen. HBCUs and their funding and maintenance needs, unique within higher education, are too often misunderstood—if they’re known at all. Many struggle to retain students and keep up graduation rates at nationally competitive levels. And Trump-era attention to HBCU advocacy has conspicuously contrasted a complicated low-point of his predecessor’s legacy.